I love summer. It’s my favorite time of year but I have one major problem with it. The good things about summer are I don’t have to work, it’s warm outside, I don’t have to wear shoes, and I have plenty of time to cook and bake. The bad thing about summer is that we don’t have air conditioning and it gets really hot in the kitchen. So while I have time to bake in the summer, I often don’t want to because it gets to hot. Earlier this year we totally renovated our kitchen. We overhauled everything from the cabinets to the appliances to the light. The good part about this is that when we got rid of the light in the kitchen we added a ceiling fan. While it isn’t air conditioning, it makes such a difference in the kitchen on a hot day. While I don’t want to spend everyday baking in the kitchen I can stand being in their to make a few things during the hottest days. 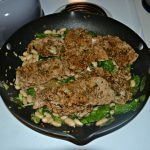 Even though I’m now able to bake in the kitchen in the summer I still like finding easy meals that I can make quickly on the stove top. This allows me more time to do other things like gardening, reading, and exercising. 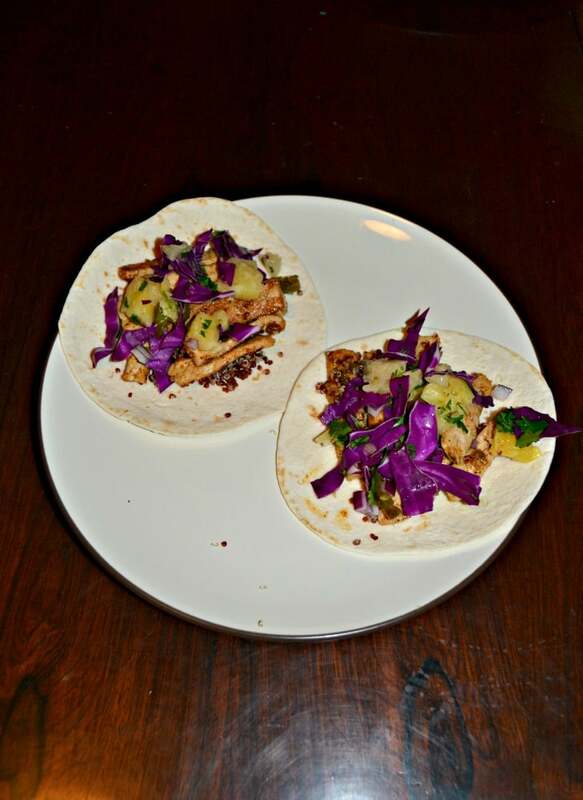 I recently found a recipe for easy Pork Tacos with Jalapeno Salsa. 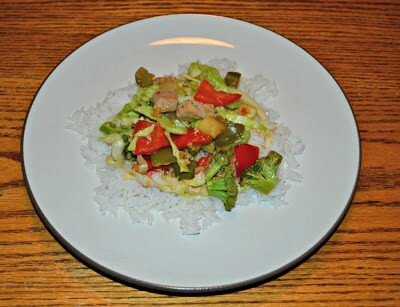 My husband loves jalapenos so I knew he’d be thrilled with this recipe. 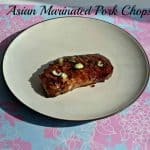 I like the way the pork is prepared in this recipe because it’s sliced really thin and then sauteed in a pan with some vegetables and spices. Then the salsa is made on the side. The salsa is nice and fresh and doesn’t require any cooking. It’s sweet and spicy which is a delicious combination. I ended up using small flour tortillas for the base. 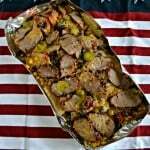 We piled them high with the pork, cheddar cheese, jalapeno sauce, and just a dab of sour cream on top. 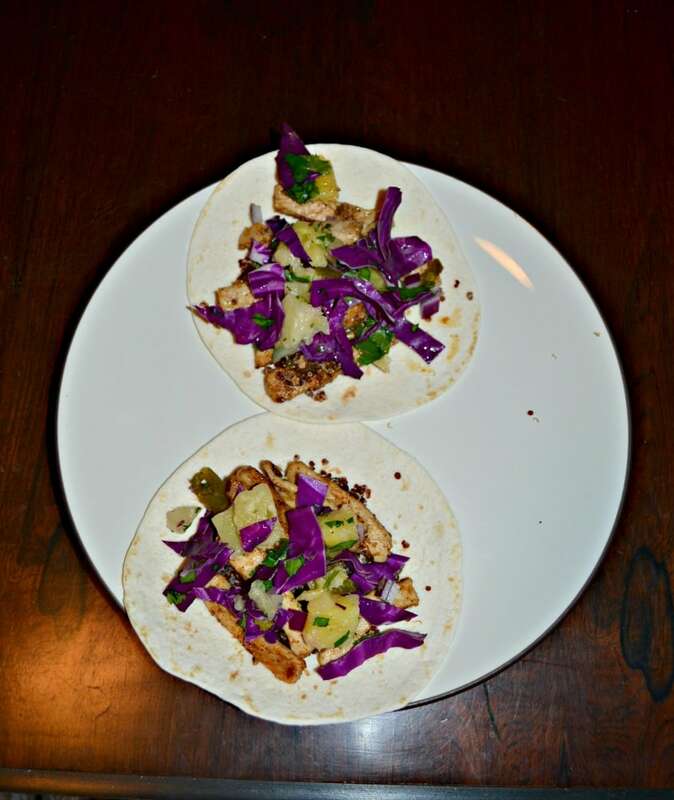 The tacos are bursting with flavor and are so colorful and delicious. These are the perfect summertime dinner. 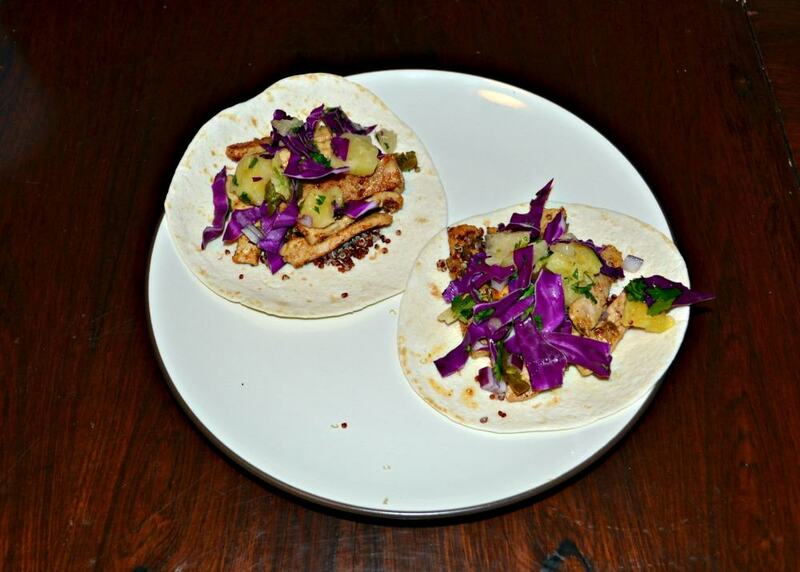 Make a delicious pork taco with a fresh pineapple and jalapeno salsa topped with cheese and sour cream. Heat the olive oil in a large skillet over medium heat. Add in the shallot, garlic, jalapeno, and soy sauce and cook for 3-4 minutes. 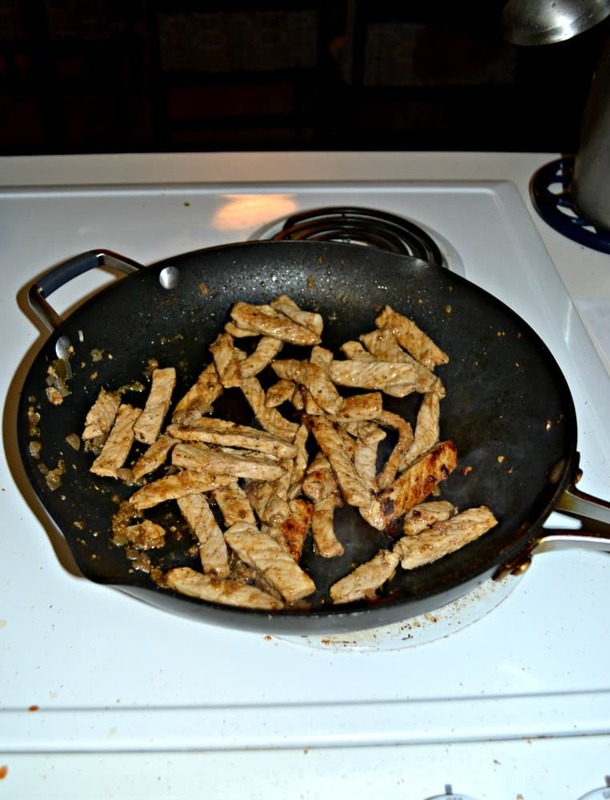 Add in the thinly sliced pork, brown sugar, and water and cook for 6-7 minutes or until the pork is cooked through. Remove from heat. In a medium bowl combine all the ingredients for the jalapeno salsa. Toss to combine. To make the tacos place some of the pork mixture on a tortilla, sprinkle with cheese, add 1-2 tablespoons of jalapeno salsa, then top with sour cream.